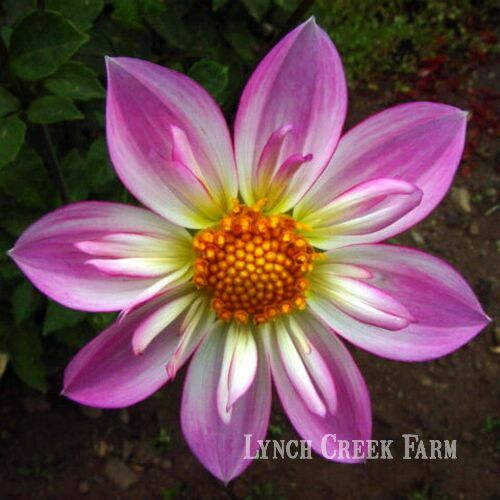 This is the first in a series of Lynch Creek Farm staff conversations with dahlia guru Bill McClaren, author of the Encyclopedia of Dahlias from Timber Press in Portland, Oregon, and a major Northwest dahlia grower. 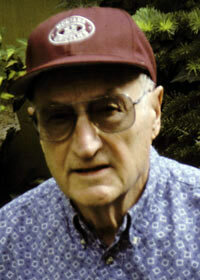 "For many years," notes Harry Rissetto, trustee of the American Dahlia Society and a contributing editor to the Bulletin of the American Dahlia Society, "Bill and Lois McClaren have been the 'Johnny Appleseeds' of the American dahlia. …Through their extended experience with the dahlia, they have gained a wealth of knowledge and useful information. Encyclopedia of Dahlias is the culmination of a lifelong love affair; it deserves a place of the bookshelf of every dahlia grower." LCF: Bill, how would you describe your Montana home in terms of growing dahlias? McClaren: Western Montana is an ideal area to live. West of the continental divide our weather is somewhat similar to the west coast with many mountains, rivers, and lakes. Kalispell is located between Flathead Lake (largest lake east of the Mississippi) and Glacier National Park. The scenery is spectacular and temperatures moderate. We have four seasons with excellent growing conditions for dahlias. Out-door activities are unlimited: gardening, camping, hiking, fishing, hunting, skiing, boating, kayaking, and swimming. LCF: You and Lois have been proprietors of Alpen Gardens for many years. Was dahlia-growing your livelihood? McClaren: No; I was a teacher for years. I had a high school principal who encouraged students to continue their education. I was married soon after high school and my wife was the one person who was a great assistance in supporting my educational goals. She worked while I was in college and made it possible for me to finish my education. LCF: So how did you get involved with dahlia-growing? McClaren: Since I was born and raised on a farm I have always been interested in growing plants. All the places we have lived I have grown vegetables and flowers. After coming to Montana I continued growing and taught a number of evening classes in gardening. I was introduced to Paul Hovey a dahlia grower in Kalispell and was intrigued with dahlias. Paul became my mentor and shared his knowledge with me about dahlias. LCF: What do you particularly like about dahlias? McClaren: One of the exciting things about growing dahlias is that we never have grown a perfect dahlia. Just around the corner there is a new one better than anything that has been introduced. I have seen interests constantly changing throughout the years by dahlia growers. I would hesitate to try to determine what my perfect dahlia might be. What makes dahlias so much fun is that they are constantly changing by hybridizing, sporting, mutations. There is never a boring moment but its like Christmas every day. LCF: You have introduced more than 150 named varieties. Many growers use their name or some key word in naming their dahlia introductions. How do we know if we're looking at one of your hybrids? McClaren: Many years ago we sat down and selected any name that might go with Alpen, a name selected by Lois when we were in the garden looking at the snow-covered peaks of the Rockies. She said, "Look at that ‘Alpen Glow’. Wouldn’t that be a great name for a dahlia? Also a great name for our garden, Alpen Gardens." We then made a list of every word we could think of that went well with Alpen. We are still using the list.